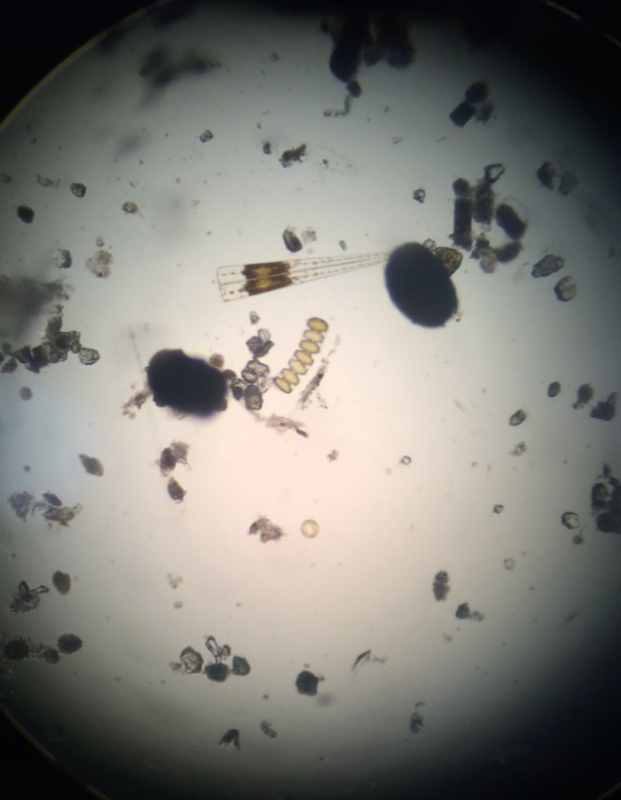 Sometimes, it is those details—the curve of a blade of eelgrass, the shape of plankton under a microscope, or the abundance of life on a rock overturned—that inspires our experiences of wonderment and awe. Today, we’ll explore some of those little things through photographs. 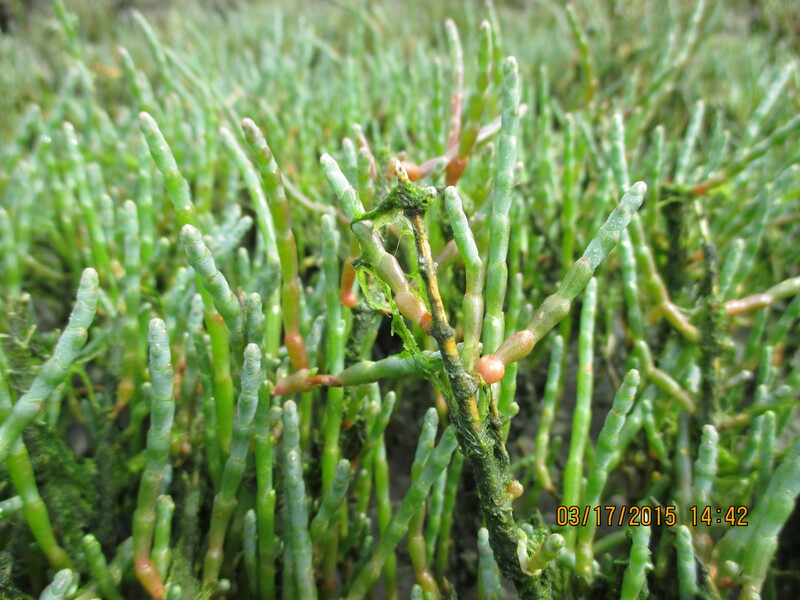 Pickleweed (Salicornia pacifica) grows in Morro Bay’s salt marsh. It can look like a sea of green tinged with red at a glance. But, when you lean in, you can see the delicate cactus-like structures of this perennial herb. When picklweed blooms, between July and November, its knobby red flowers add color to the salt marsh. The algae clinging to the picklweed in the foreground of this photograph attests to the plant’s relationship with the bay. 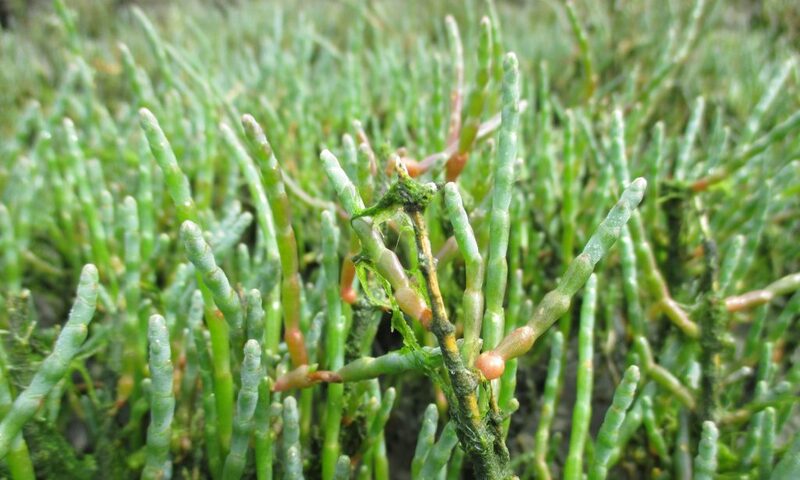 It has adapted to survive the extremely salty conditions of the intertidal zone and is often submerged during high tide. 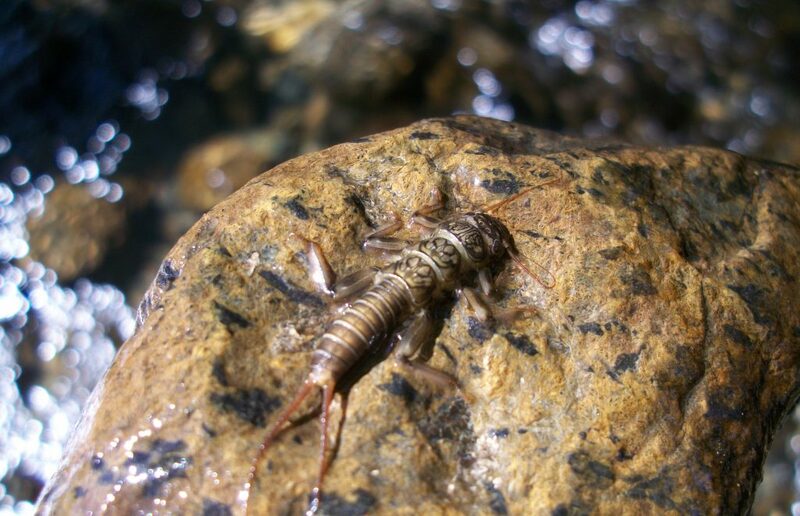 The coloring and patterns on stonefly larvae allow them to blend in with rocks. Only careful observers are likely to catch a glimpse of these small, camouflaged, creek-dwellers. There is a whole world in a few drops of water from the bay. 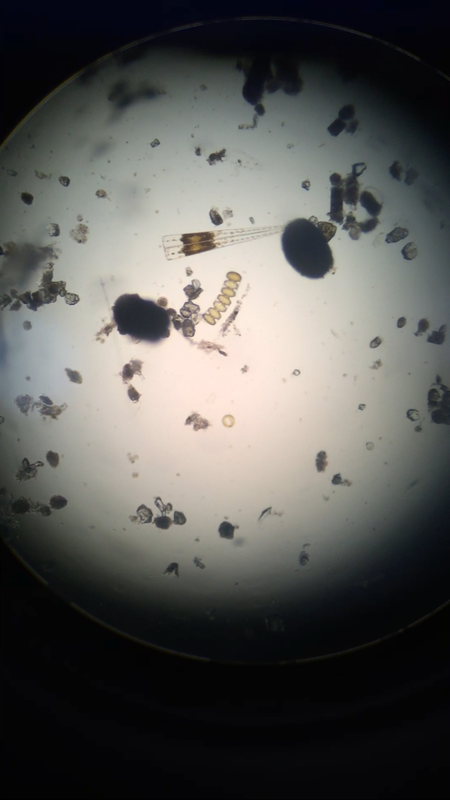 This photograph shows plankton from a water sample under a microscope. 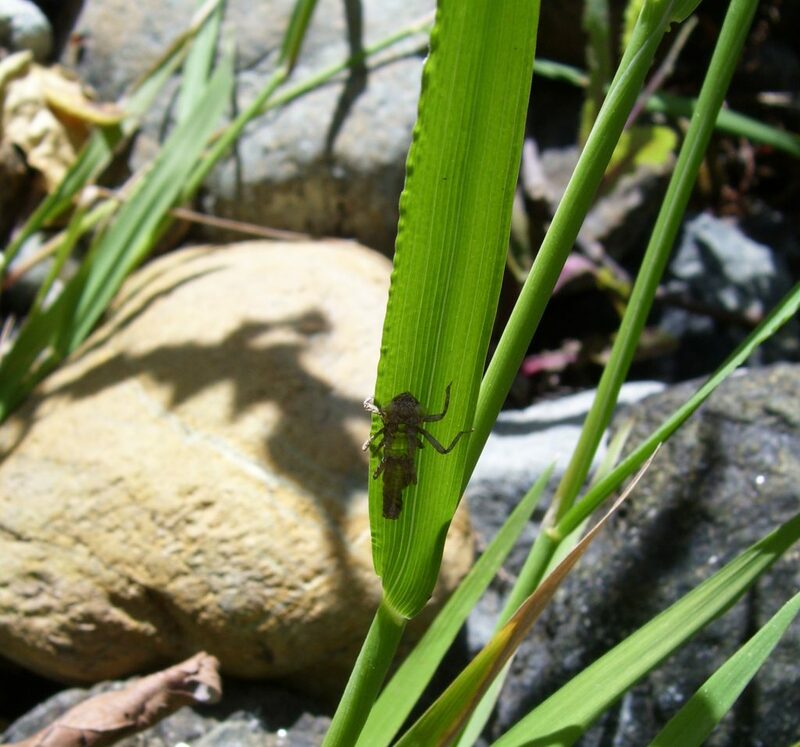 Dragonfly and damselfly nymphs shed their exoskeletons as they metamorphose into their adult, flying forms. 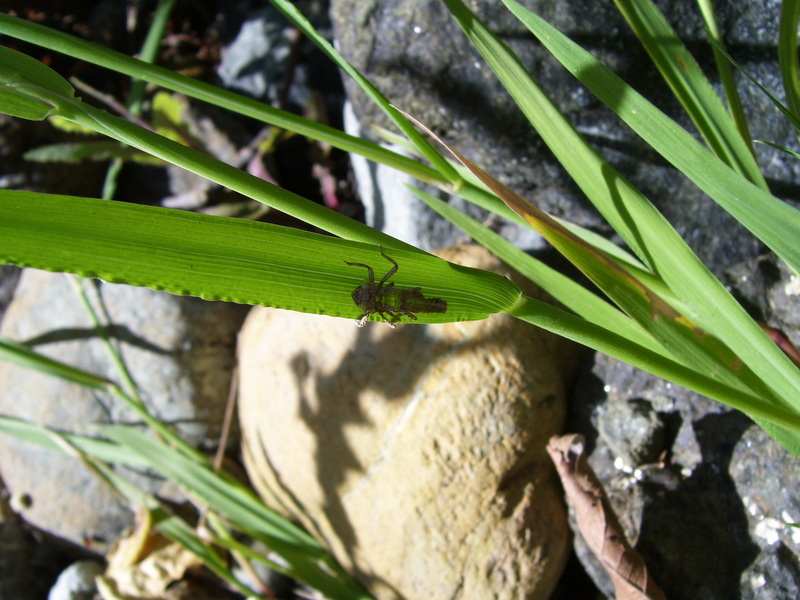 An Estuary Program staff member noticed this exoskeleton left behind on a plant next to a local creek. Watch the video below to see how this process happens. Dragonfly nymph sheds its skin from Andy Holt on Vimeo. Do you have a photograph of something in the Morro Bay estuary or watershed that is small and easily overlooked, but that you find inspiring? Share it with us on Facebook or Instagram @MorroBayNEP.